In the not-so-distant past, testing an unborn baby for Down syndrome and other severe genetic disorders required a procedure with a long, gruesome needle and an unnerving risk of miscarriage. But this year, doctors and pregnant women around the country welcomed a new option: a painless genetic screen performed on a sample of the mother-to-be’s blood. Advances in DNA sequencing have given doctors the power to probe the small fraction of fetal DNA coursing through a pregnant woman’s veins. 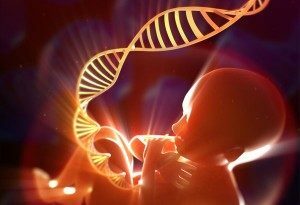 Approximately 3 to 10 percent of the cell-free DNA in a mother’s blood belongs to her baby, and these fetal blueprints are enough to determine if the baby has the wrong number of certain chromosomes—the cause of some inherited diseases, including Down syndrome. And, instead of an invasive procedure at 15 to 20 weeks of pregnancy, doctors can conduct a genetic screen of the mother’s blood as early as week 10 with a standard blood draw. Though the technology behind non-invasive prenatal genetic testing officially debuted in October of 2011, this year saw the birth of the first generation of options, with three companies now offering such tests and a fourth on the way. 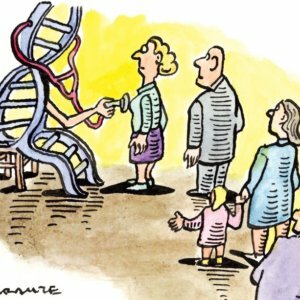 The trending technology has met an expanding market of expecting parents opting for prenatal testing, as well as industry squabbles over patent rights. But perhaps most importantly, the promise of more powerful fetal tests in the near future may breed a new host of ethical questions facing parents and geneticists alike, as they struggle with how much genetic information they want to know and can interpret about an unborn child.